With smartphones and tablets making a way into our lives, the next set of devices set to conquer the digital world are the ones that we can wear, like the GOQii fitness tracker. Available in the form of a wristband, this fitness tracker works with you to set smarter health and fitness targets…. 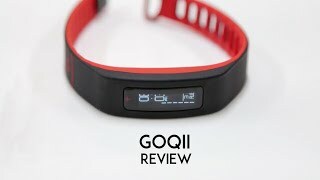 At flipkart.com you can purchase GOQii 3 Month Personal Coaching with Fitness Tracker(Black) for only Rs. 1,899, which is 37% less than the cost in Ebay (Rs. 2,999). 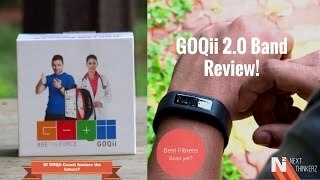 The lowest price of GOQii 3 Month Personal Coaching with Fitness Tracker One to One fitness training was obtained on April 22, 2019 2:43 pm. I believe there are some limitations which can be added to the device. For example : Device counts steps even when u are riding or driving, there should be some mechanism which doesn’t count steps while driving. I have ordered it for my friend.It works Great!!!!!! Great fitness tracker but, the only problem is that it counts your steps when you are in a car and it passes through a bumpy road.